easyJet and British Airways have announced plans to launch new flights which will cater to British skiers this winter. In December this year, British Airways will launch a new service which will connect Stansted Airport with Chambery, a gateway to hugely popular Alpine ski resorts including La Plagne, Courchevel and Meribel. BA only began flying from Stansted in May this year and currently links the London hub to Palma, Malaga, Ibiza, Faro and Berlin. The flight to Chambery will be a twice-weekly service and will complement the existing service offered by the airline to the French airport from London City Airport, with currently operates three times a week, as well as a daily service over the busy Christmas and New Year period. Budget airline easyJet has also announced plans to launch a new service to Sweden, which is expected to be hugely popular with snowboarders and skiers. easyJet will introduce the once weekly service between Gatwick Airport and Are Ostersund Airport, located in Sweden’s Jamtland province 500 miles away from Stockholm, in December this year. The area’s mountains have recently hosted a range of high-profile events such as the Alpine World Championships. According to Ami Hovstadius, Managing Director of VisitSweden UK, they are delighted to be working alongside easyJet on the new direct route to Sweden’s top alpine ski resorts. Sweden is seeing more people travelling from the UK than ever before, with the Swedish lifestyle, Nordic Noir and Scandi food proving to be an attractive option amongst British travellers. 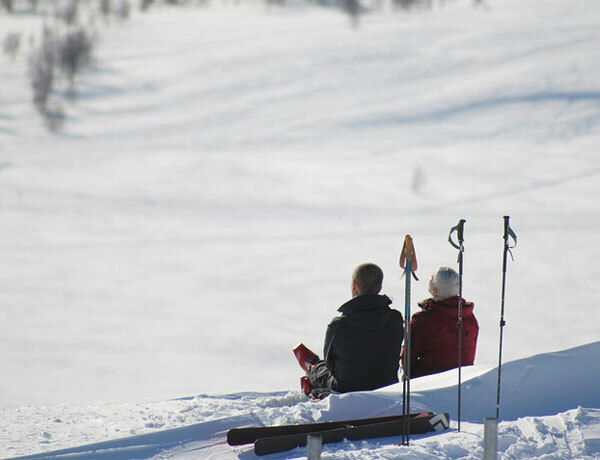 Sweden’s mountain region of Jamtland Harjedalen boasts some of the country’s best ski resorts, like Are and Vemdalen, which also boast a number of other winter outdoor activities.